A long-awaited report into Winnipeg snow removal says beet juice is an effective road de-icer and chipped granite may improve traction on city streets — but offers no means of improving snow-clearing on city sidewalks. Crews in La Broquerie, Man., spread beet juice on streets and sidewalks to prevent ice buildup. Winnipeg may purchase more de-icers containing beet juice. A long-awaited report into Winnipeg snow removal says beet juice is an effective road de-icer and chipped granite may improve traction on city streets, but offers no means of improving snow-clearing on city sidewalks. In a report to council's public works committee, acting city street-maintenance manager Cheryl Anderson states winter tests of two liquid de-icing products containing beet juice found the the veggie-derived de-icer was just as effective as conventional products containing salt, albeit with additional benefits. De-icers containing beet juice are more effective at colder temperatures, last longer on city streets and also reduce the amount of salt that winds up in the environment by 30 to 70 per cent, Anderson wrote. The beet-juice de-icers still contain some salt, but as a result of the trials, the city will consider purchasing the veggie product after it issues a tender for new de-icing products this spring, Anderson wrote, adding cost may no longer be a barrier. "One of the challenges of these environmentally friendlier products has been the cost of procuring the material. Suppliers understand the city's commitment toward utilizing a more environmentally friendly product that is priced competitively in Winnipeg," she wrote. "During the test trials, pricing of the products have been comparable to the City of Winnipeg previous bid opportunities for liquid de-icer." 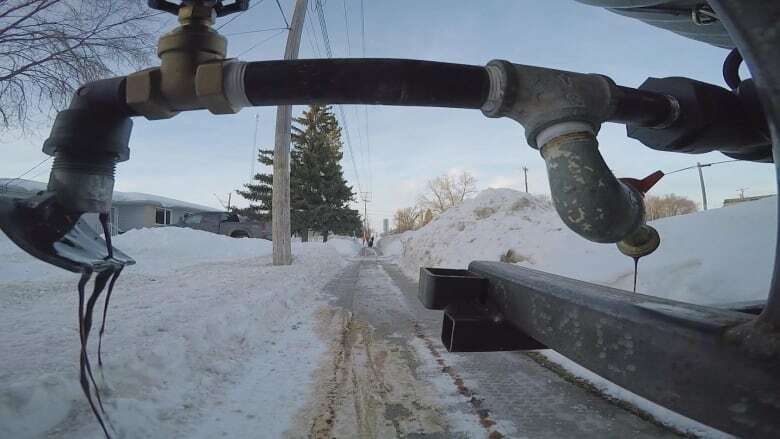 The report also recommends the repurposing of some winter snow-clearing machines for summer use, but does not address a key complaint from Winnipeggers regarding inadequate sidewalk clearing. The report was ordered by council in January 2017. It comes before the public works committee on April 6.